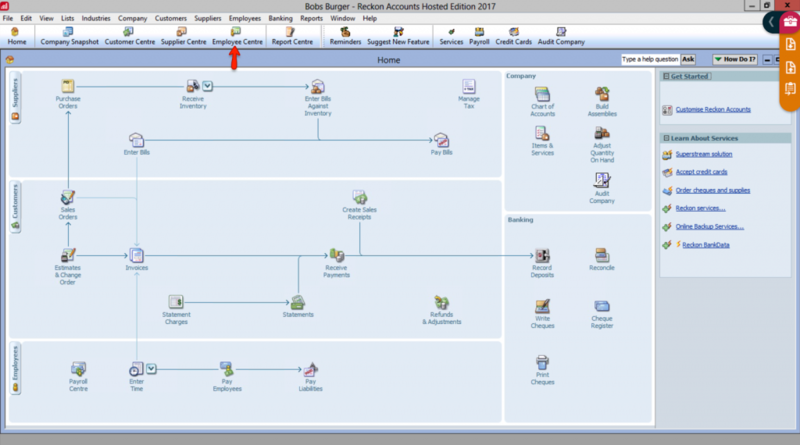 This guide shows you how to connect and export to Reckon Accounts Hosted. 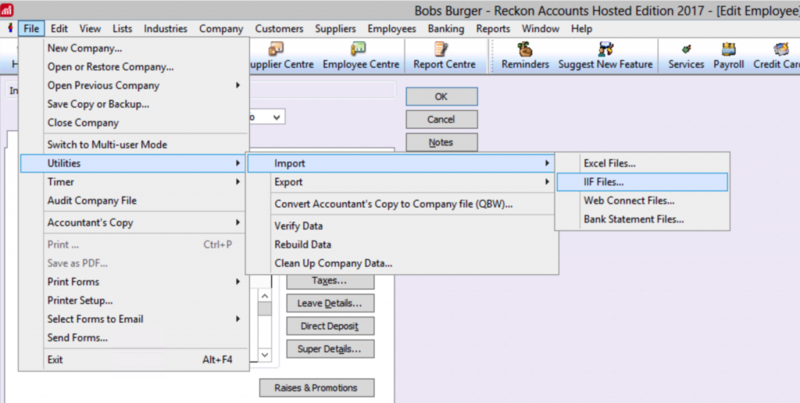 This guide will teach you the process of exporting to Reckon Accounts Hosted. To do this, please ensure you have a valid Deputy and Reckon Hosted account. Please ensure that you are an Administrator within Reckon. Please also note that this export does not support salaried staff. We currently do not support Leave export out of the box with this current integration. To begin, please navigate to the Employee Centre in Reckon Accounts Hosted. From here, select an employee. A pop-up modal will appear. Here, we will need to ensure that the names in Reckon match the names entered in Deputy. These need to be correct as they will also be used as export codes. 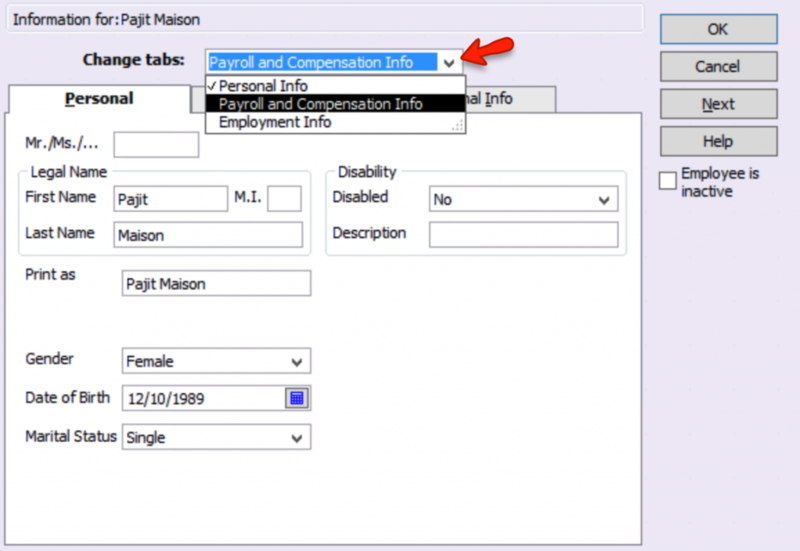 Now we need to change tabs to the 'Payroll and Compensation Info' tab, as seen in the image below. Ensure that the 'Use Time Data to Create Paycheques' box is ticked. If you cannot see this box, click 'Edit' in Reckon. Then click 'Preferences' > 'Time Tracking' > 'Company Preferences'. Under 'Do You Track Time? ', ensure that 'Yes' is selected. With these checked, now we move onto Deputy. Navigate to the People tab and select/edit your employee you would like to export. 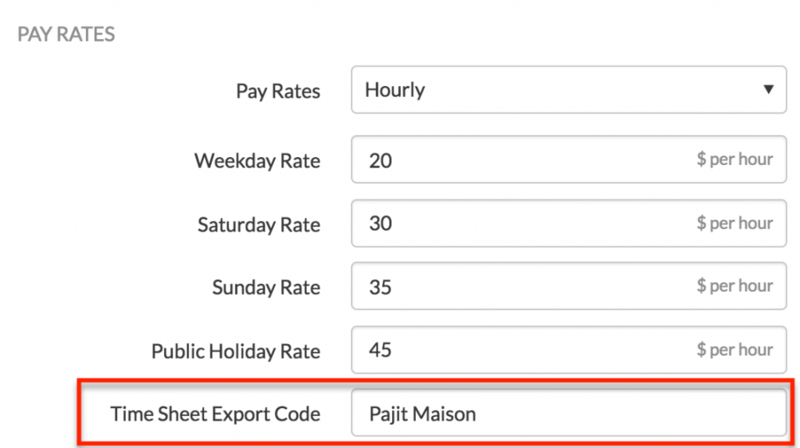 Edit the employee's Time Sheet Export Code to the employee's name as shown in Reckon. 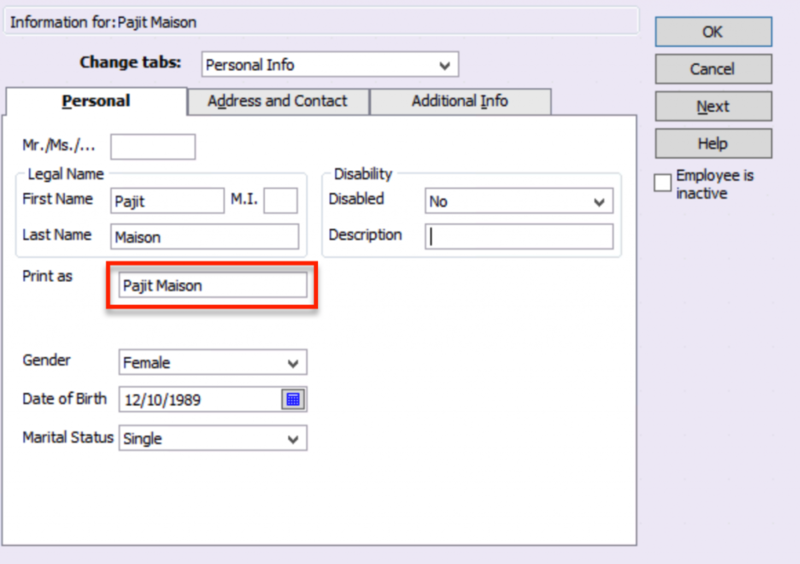 In this example, 'Pajit Maison' has their name entered in Reckon and Deputy exactly the same. Once this has been finished, approve any appropriate timesheets and head to the 'Export Timesheets' section in Deputy. Select an employee and click the 'Group by Pay Rate' view option. Here, you will notice the export codes the employee. These need to match the pay items in Reckon. Here, you will see a list of all your pay items, which will need to correspond to the pay items that are assigned to your employees. If you are using an award, or would like to pay employees sick leave, or an allowance, you will need to create a new pay item which will correspond to the export code in Deputy. 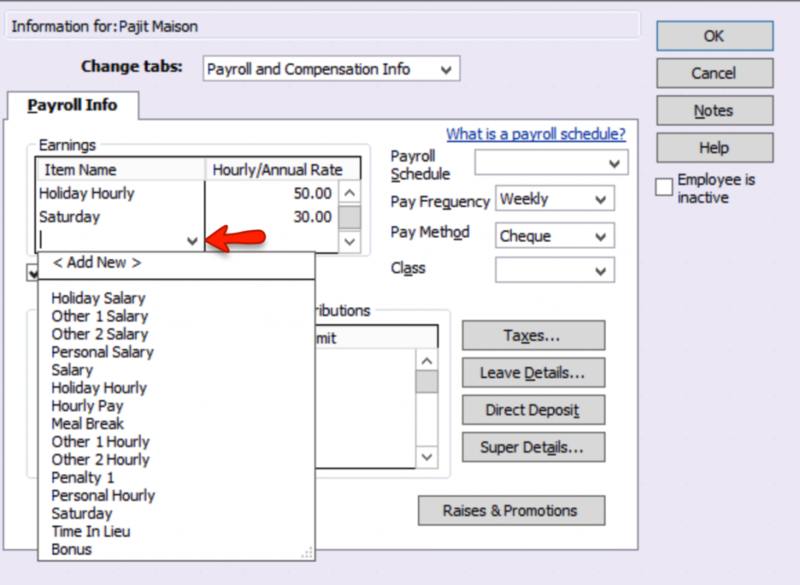 Before exporting the timesheet, please make sure that the employee has been assigned pay rates. 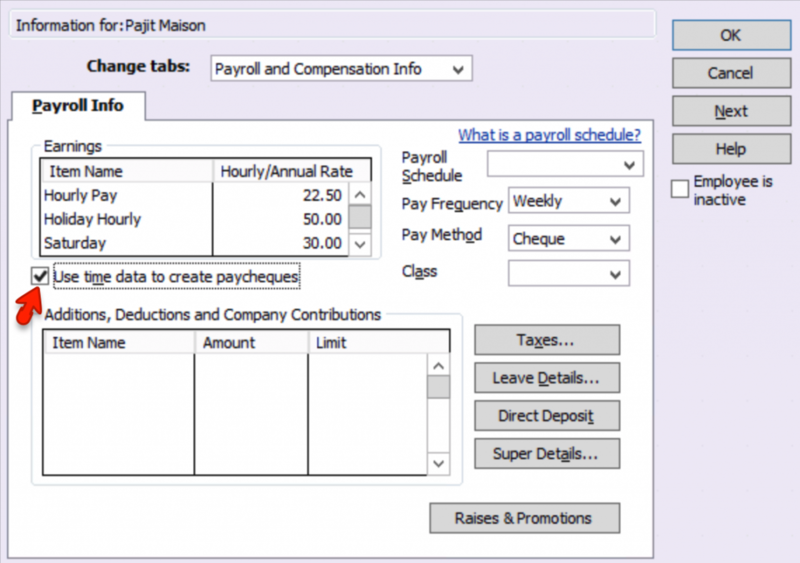 To view this, navigate to the Employee Centre in Reckon and navigate to the 'Payroll and Compensation Info' tab. From here, you can view all the pay items assigned to this employee. 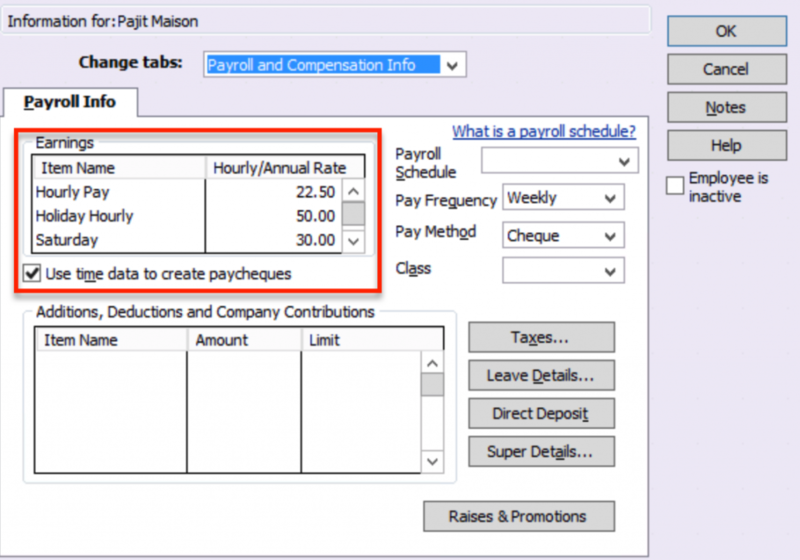 In the 'Earnings' box, you can also add pay items which you have created by scrolling to the bottom of the list. Click an empty space to add the new pay item. New pay items will need to be added for any award items such as delayed meal breaks or overnight allowances. Please keep in mind that the rates set in Reckon will be the rate the employee is being paid at. Deputy will only push hours worked. To export your timesheets from Deputy to Reckon Accounts Hosted, head to Deputy's Export Timesheets page. 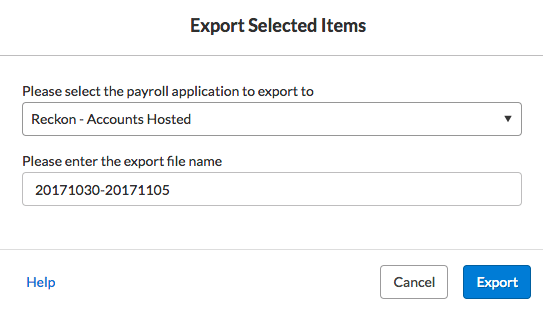 Now select the timesheets you would like to export, then click 'Export Selected Items'. 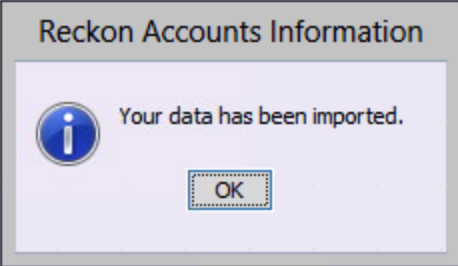 In the export pop-up, scroll until you find 'Reckon Hosted', and name the file as you wish. 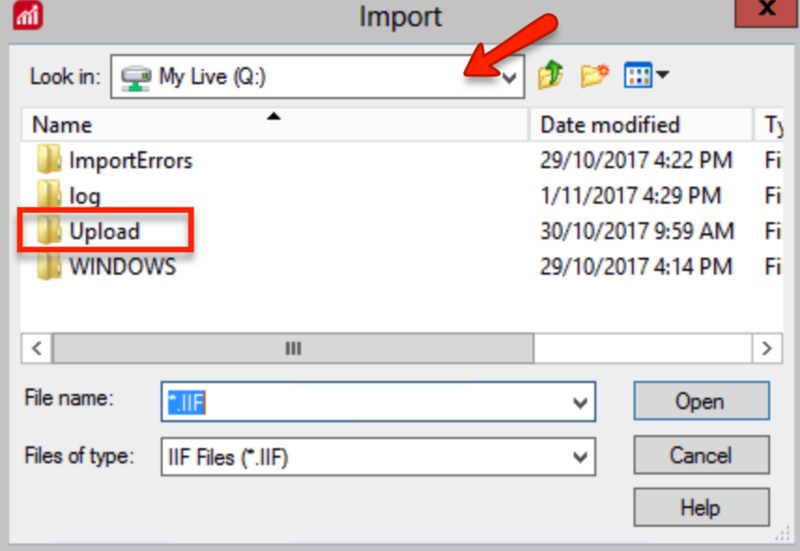 Once you hit Export, Deputy will generate an .iif file with you will export into Reckon Accounts Hosted. When this file has finished downloading, make your way back to Reckon. Within Reckon, click the orange 'Upload' button, as shown in the image below. After clicking this, you will be asked to select the correct file you would like to upload. Find the saved .iif file and upload this into Reckon. When this process is completed, click the 'File' drop-down box, click Utilities > Import > IIF File. After clicking 'Ok', click the 'Payroll' button in Reckon. After clicking this, you will see a screen with all the payroll information that you have imported from Deputy. Make sure that the correct week, pay period, and end date is selected. If this is not selected, you will need to change the current date range. Click on the white space and you will receive a 'Pay Period Change' pop-up. Click Yes. The pay period will change and will display the information that you have imported under the relevant pay items. Once you have confirmed that the details are correct, you are ready to process your payroll.